Horse riding in Phuket, is a fun way to explore Phuket's natural scenery. If you ever wanted to experience something unique that’s lots of fun this is your perfect opportunity. We had never been riding before, but after we experienced it we were thrilled that we decided to go horseback riding in Phuket. If you would like to go horseback riding during your time in Phuket, there is a handful of very good horse riding clubs which are listed below. The Phuket International Riding Club, is located at the entrance to the Laguna complex at Bang Tao. Along your trails you will pass lagoons, and fields and if you choose the sunset tour you will witness the most unforgettable sunset as you ride along the beach. Prices for horse riding in Phuket with the International Riding Club start from 1,200 Baht per person for a 1 hour ride up to 2,200 Baht for a 2 hour ride. The price includes an instructor, riding gear, insurance and drinking water. All sessions begin with horseback safety briefing. Phuket Andaman Horse Riding School is new to Phuket, located only 5 minutes from the Heroine’s monument. The Phuket Andaman horse riding school offers more than just horseback rides they offer professional riding lessons, with international teachers. The horse riding school works in partnership with the British International School in Phuket offering horse riding lessons for children from 3 years old. They offer riding lessons in Thai, English or French for all ages and abilities. In addition to their daily horse riding trail classes they also offer 2 or 3 day riding camps for kids. For more information and pricing about the horse riding camp you can visit their website. The Phuket Andaman Horse Riding School is also available for special events such as birthday parties, wedding photos and pony rentals. Phuket Riding Club is located at Mai Khao Beach at the Northern end of the Island. 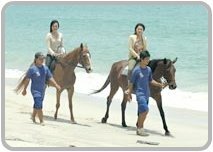 Here you can go horse riding in Phuket along Mai Khao beach. There is also dressage riding rings for the children and beginners. The Phuket Horse Riding Club prices start from 1,200 Baht for a 1 hour jungle tour up to 2,200 Baht for a 2 hour beach ride. If you would like to go horse riding in Phuket you can also contact our friends at Easy DayThailand . All the above riding clubs are suitable for children and beginners with horseback riding instructors that will give you simple instructions and guide you through the trail. 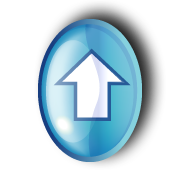 For the more experience rider you will have guides take you on more adventurous trails. For something that is totally relaxing and enjoyable try horse riding in Phuket. We can recommend the sunset ride, it was a fantastic experience and it's something we feel other visitors will enjoy too.